No more clutter on your laptop/PC desktop! With XUS Launcher you can easily organize all your desktop shortcut icons. Finally your desktop will look beautifully organized like it has never been before. 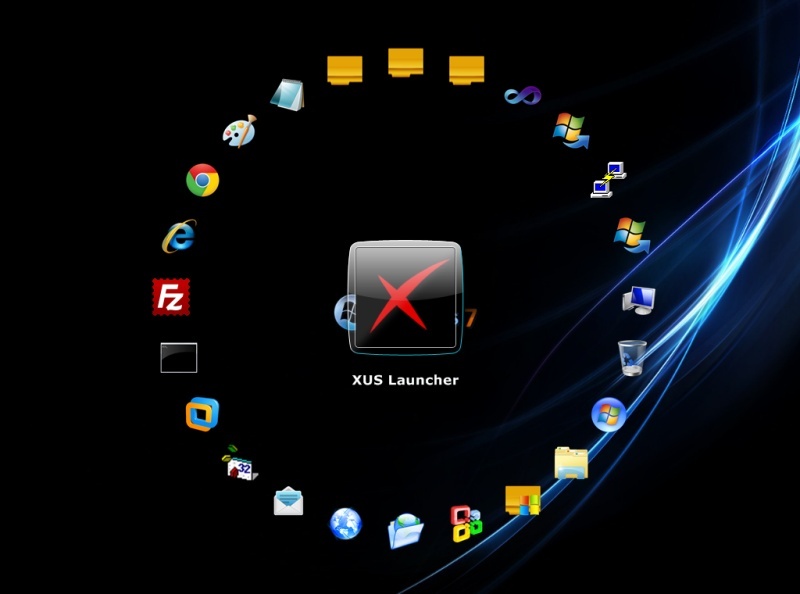 XUS Launcher is extremely easy to use and while it is very thrifty on resources it permits (beside some handy power functions) the quickest access to any location on your system and launching multiple programs is now a breeze. Download here a fully functional trial version which can be evaluated for 30 runs. Should you decide to buy a license at the end of the trial period, there will be no need to uninstall as an registration code will be immediately emailed to you upon completing a secure and quick online purchase transaction. The launcher is very flexible and it can be configured/customized to suit your needs in a couple of minutes only. Once you have tried XUS Launcher, you'll no longer want to be without it! Statement: First, please download the orginal installation package by clicking the download link. Of course you may also download it from the publisher's website. Using XUS Launcher Professional Edition crack, key, patch, serial number, registration code, keygen is illegal. The download file hosted at publisher website. We do not provide any download link points to Rapidshare, Hotfile, Depositfiles, Mediafire, Filefactory, etc. or obtained from file sharing programs such as Limewire, Kazaa, Imesh, Ares, BearShare, BitTorrent, WinMX etc. Software piracy is theft. If you like XUS Launcher Professional Edition please buy it.